Are the smoke alarm batteries flat? Does the cat, and therefore the rest of the family, have worms? Will bird flu strike and ruin life as we know it? Is the Kidney-shaped spot on his chest actually a galloping cancer? Only Ma takes seriously his catalogue of persistent queries. But it is ma who is the cause of the most worrying question of all, the one that Frankie can never bring himself to ask. Then the new girl arrives at school and has questions of her own: relentless, unavoidable questions. So begins the unraveling of Frankie Parsons's carefully controlled world. Kate de Goldi lives in Wellington. She has won a number of accolades for her fiction, including the Katherine Mansfield Short Story Award and the Esther Glen Medal. Her book Clubs, illustrated by Jacqui Colley, won Book of the Year in the New Zealand Post Children's Book Awards in 2005. 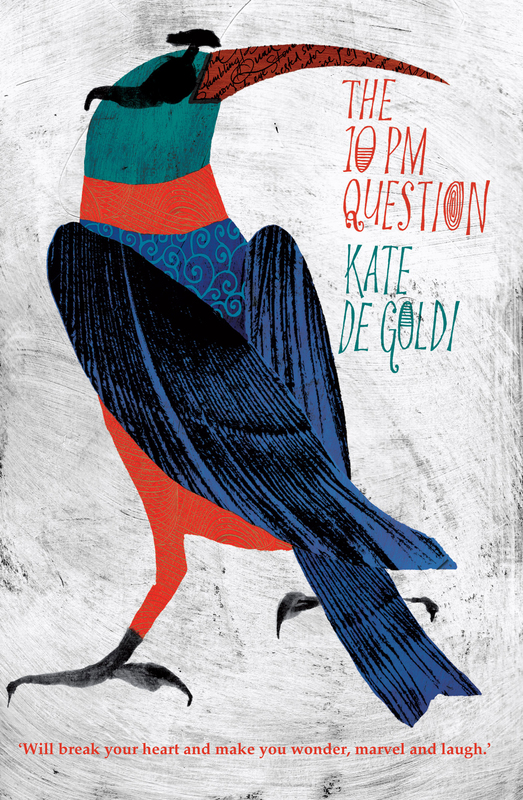 In 2001, Kate was made a New Zealand Arts Foundation Laureate, and in 2010 she was awarded the Creative New Zealand Michael King Writers' Fellowship.